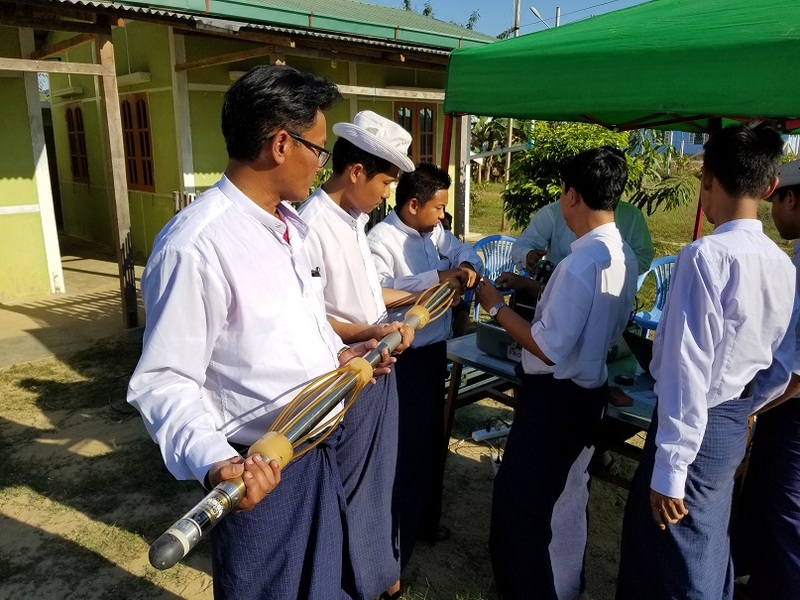 The Myanmar Water Resources Utilization Department (WRUD) of the government recently received a training by Mount Sopris Instruments geophysicist Lia Martinez. 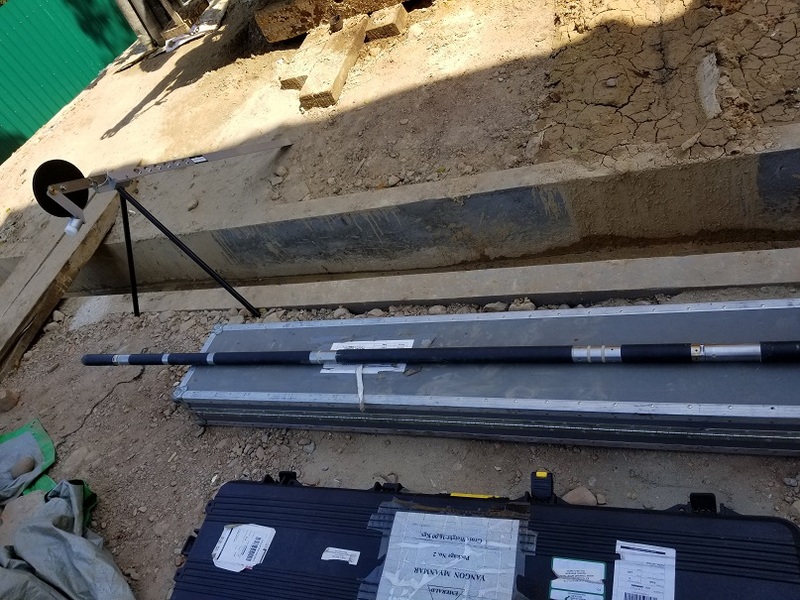 The WRUD hydrogeologists purchased groundwater well logging instrumentation and a televiewer to increase their ability to construct wells in regions of complex subsurface geology. 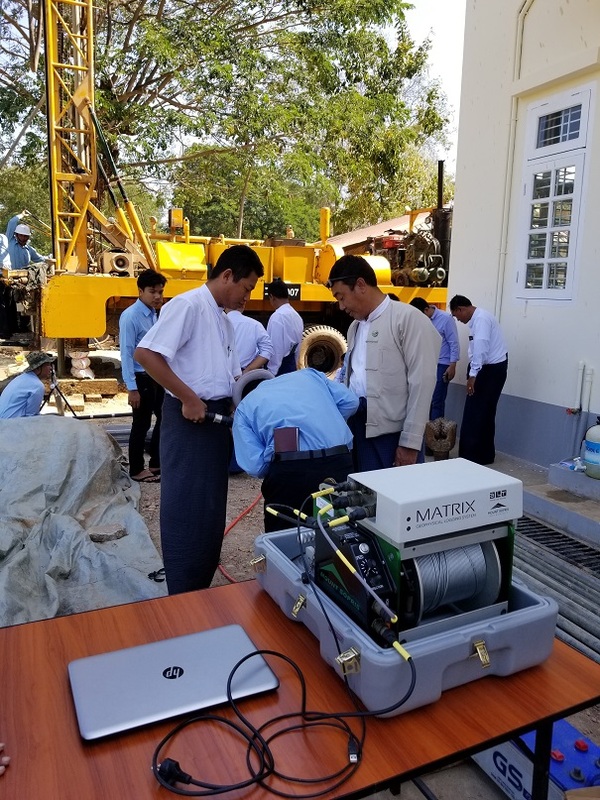 The equipment was sold and supported with the help of our Myanmar representative Mr. Salai Zaw Min Latt of Aung Emerald Co Ltd. 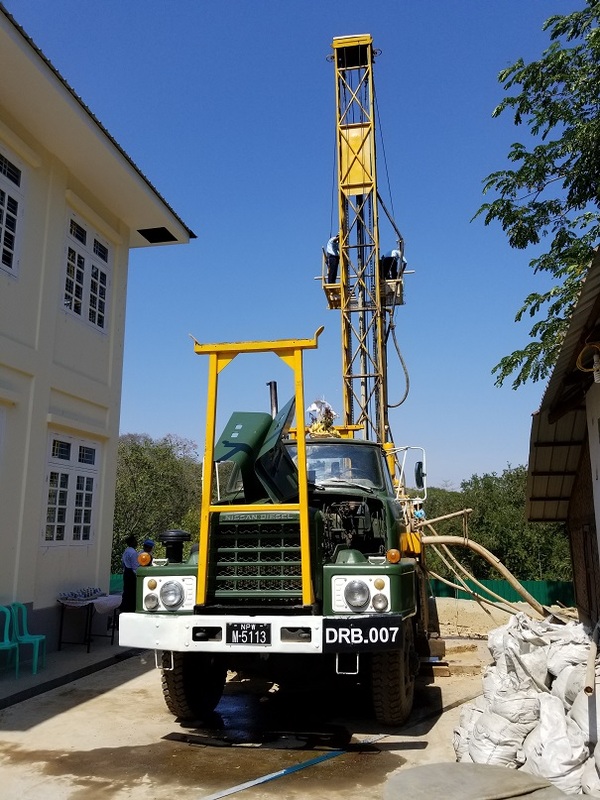 According to the WRUD, the equipment was purchased in order to help better define the location of aquifers after drilling, especially in some of the more mountainous regions near the borders of India, Bangladesh, China, and Thailand that have more complex geology or fractured rock groundwater. The training was completed over the course of 3 days. The first day included field logging using the OPTV optical televiewer in a mature groundwater well cased and screened with PVC. This allowed the WRUD geologists to practice with the downhole digital camera. The second day was a good day spent practicing geophysical logging on a newly drilled well to approximately 150 meters depth with the elog (electrical resistivity) and gamma tools. 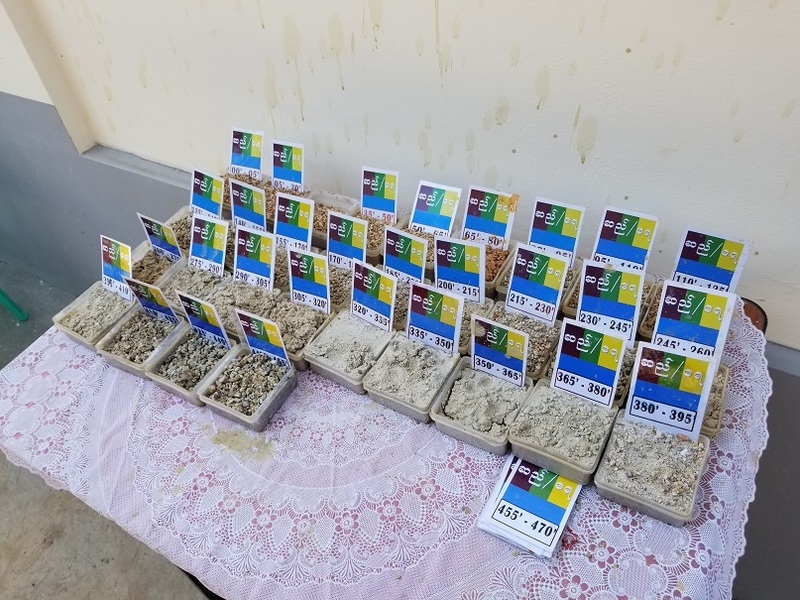 The geologists gained experience correctly taping any exposed metal (except the electrodes) on the sondes after connecting them and using the isolation bridle to ensure a properly isolated measurement. While logging, they also discussed the nature of both measurements; for example, gamma responds only to lithology while resistivity will respond to both the geology and the formation fluid (water). On the final day, WRUD and Ms. Martinez used WellCAD well log data processing for their applications. They learned to use the ISI Workspace to process optical image data as well as import, process, and display basic geophysical logs. Overall, the training was successful and the WRUD hydrogeologists now have the experience and knowledge to log and construct better water wells. 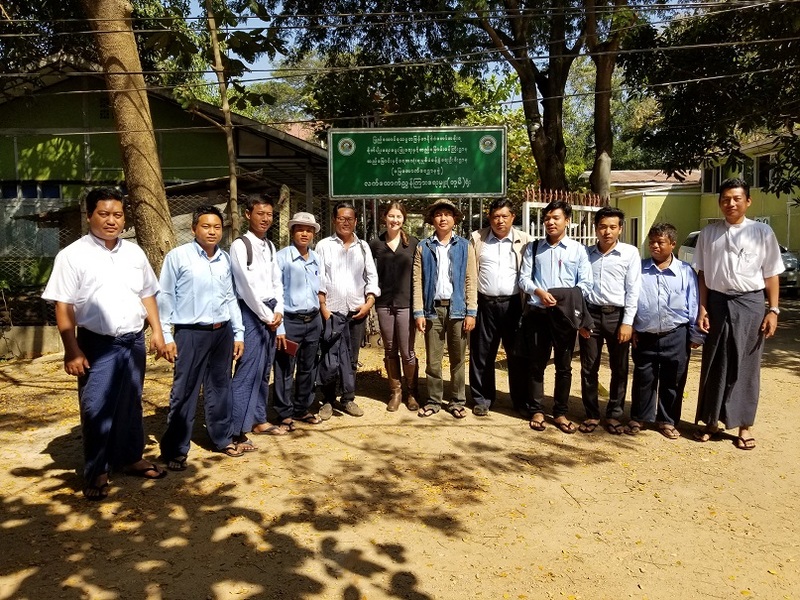 Mount Sopris looks forward to continuing our support of WRUD and our representatives Aung Emerald Co Ltd in Myanmar. 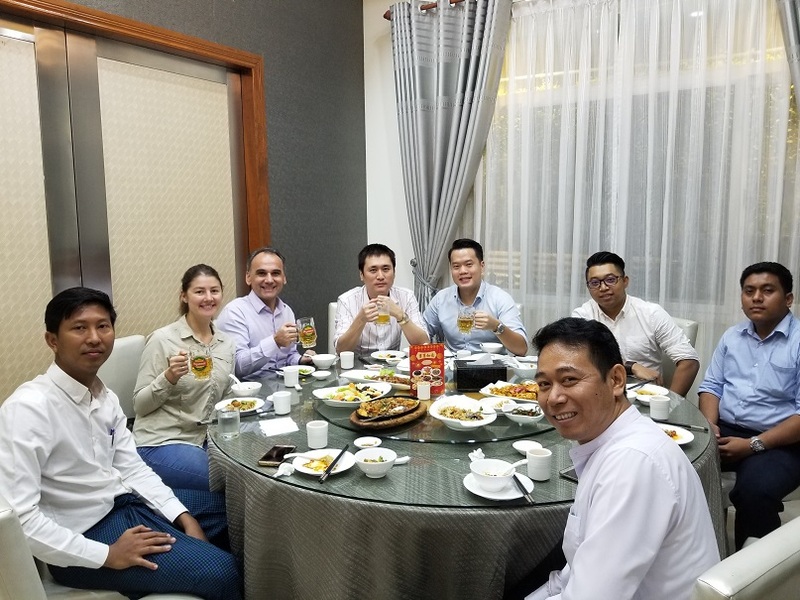 Business dinner with our Representatives from Aung Emerald Co Ltd.